Police reportedly responded to a call from a shopping center in Horsholm, a coastal town some 25km north of Copenhagen, where a 28-year-old woman wearing a niqab, a traditional Arab headdress that conceals the face and only leaves an open slot for the eyes, got into a scuffle with another woman. "During the fight, her niqab came off, but by the time we arrived she had put it back on again," police duty officer Borchersen told Ritzau news agency. According to The Copenhagen Post, both women have been charged with disturbing the peace. Moreover, police slapped the veiled woman with a 1,000 kroner (over $150) fine and told her to either remove her niqab or leave the public area. She opted for the latter. The woman became the first-ever offender of Denmark's fresh ban on wearing garments and accessories in public that cover the face, which was approved by parliament in May and entered into effect on Wednesday. The new law prohibits balaclavas, masks and false beards as well as Islamic veils such as niqabs and burqas. A first offence triggers a fine of 1,000 kroner, while repeat offenses can lead to a fine of 10,000 kroner (over $1,500) or a jail sentence of up to six months. The authors of the law in Denmark's ruling center-right coalition argued that the legislation was meant to uphold Danish values and enable the better integration of Muslim asylum-seekers and immigrants into Danish society. The ban drew the ire of human rights groups and the local Muslim community. On Wednesday, mass rallies took place in Copenhagen to protest against the ban, claiming that it violates women's right to dress as they choose and targets a religious minority. Amnesty International, in turn, slammed the ban as a "discriminatory violation of women's rights." The news has sparked vigorous debate in the internet, with some people contending that the law must be obeyed. — DS (@PunditWarrior) 4 августа 2018 г. — Віктор Лук'яненко (@Loukianenko_V) 3 августа 2018 г.
it's Not Your Country. U are a refugee or an immigrant. Assimilate or leave. it's quite simple, really. — John Allen Shaw (@LiberalEcon) 3 августа 2018 г.
I mean its their country and don't want this to happen why is it so difficult for some people to understand, as an immigrant you should respect the culture and lifestyle of the country you are visiting..
— RAF (@Rafas0147) 4 августа 2018 г. People are afraid of terror, with a good reason. Obey the laws & respect, or stay in your country where you continue a tradition made at first to cover your faces from sand storms, hijab is required, not forced upon, and burga have nothing to do with the religion. — Hala Mer (@Ss_LouLou) 4 августа 2018 г. It is a security threat. Convieably terrorists could hide by wearing these things. In the West, you got to show your face. It is that simple. Leave if you don't like it. — AllezLesBlues (@GoonerOConnell) 3 августа 2018 г. — wayne faulkner (@waynefaulkner8) 3 августа 2018 г. — Chris Hadrick (@Chris_Hadrick) 3 августа 2018 г. Some users, however, have leapt to the woman's defense, calling the fine a "hate crime." — Puck Spicer (@puckspicer) 4 августа 2018 г.
Here’s a more accurate headline: First hate crime committed against woman wearing veil after Denmark’s Burka ban. Victim subsequently fined. — Nanna Árnadóttir (@NannaArnadottir) 4 августа 2018 г. — Stupid Common Man (@SyedSub63530470) 4 августа 2018 г. — ʾUstādh ʾAbū Hipster (@erimcicekk) 3 августа 2018 г. 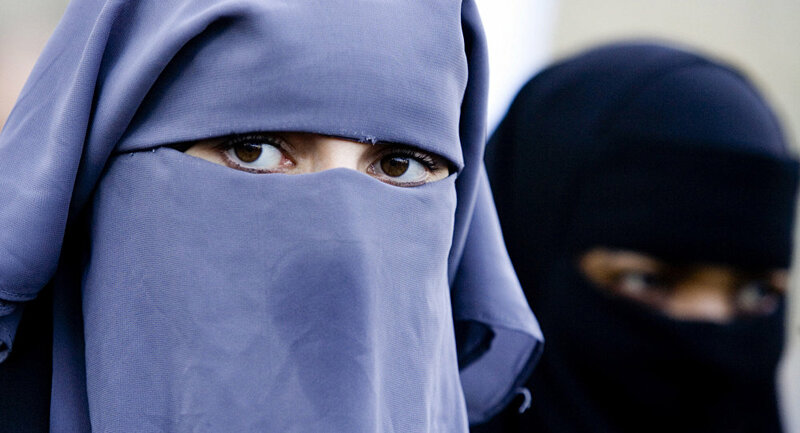 Full veils have been a hot-button issue in the European Union as restrictions on full veils in public areas are in place in France, Belgium, the Netherlands, Bulgaria, Austria, the German state of Bavaria and in parts of Switzerland. European countries began introducing them following an influx of asylum seekers from the Middle East and elsewhere, which escalated in 2015, citing security and integration concerns.